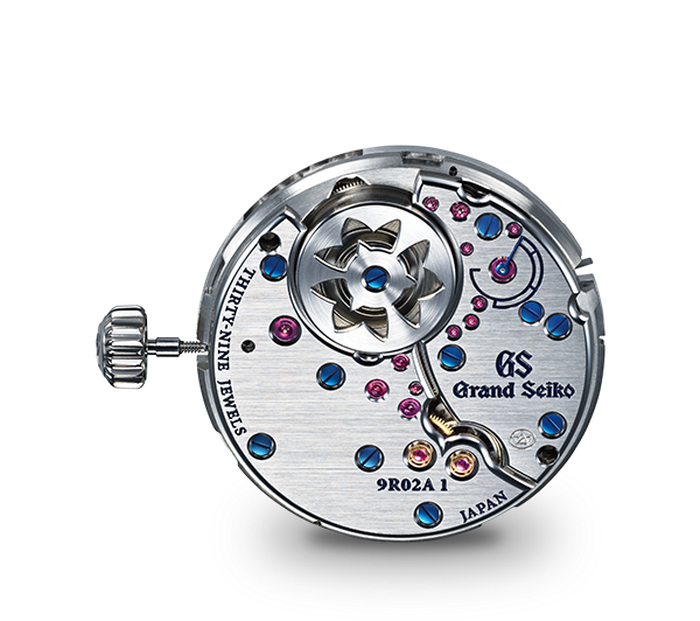 Spring Drive Calibre 9R86 may well be the world's most accurate spring-driven chronograph. It delivers a precision of ±15 seconds a month, or ±1 second a day and, equally importantly, measures elapsed time not to the nearest fraction of a second but exactly, thanks to the fact that the glide motion hands stop at the very instant that the button is pressed. 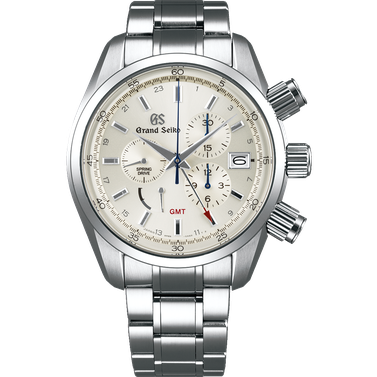 The 72 hour power reserve is maintained even if the chronograph is in operation. A column wheel system is used to control the starting and stopping of the stopwatch. Its system ensures precise, error free control of the chronograph operation. The column wheel is designed to reduce stress on the clutch and lever, minimizing impact on the movement when the start/stop button is pushed. ① When you press the START button, the end of the action lever rotates the pillar wheel to the right. ② The rotating column wheel causes the end of the start-stop lever on the pillar to fall between the pillars, causing two closed start-stop levers to open. ④ The second hand of the stopwatch starts to move. 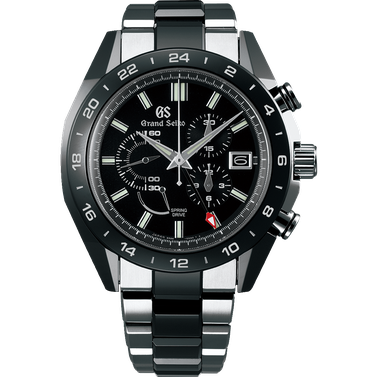 The vertical clutch system was created to prevent the second hand from jumping when the stopwatch START button is pressed. 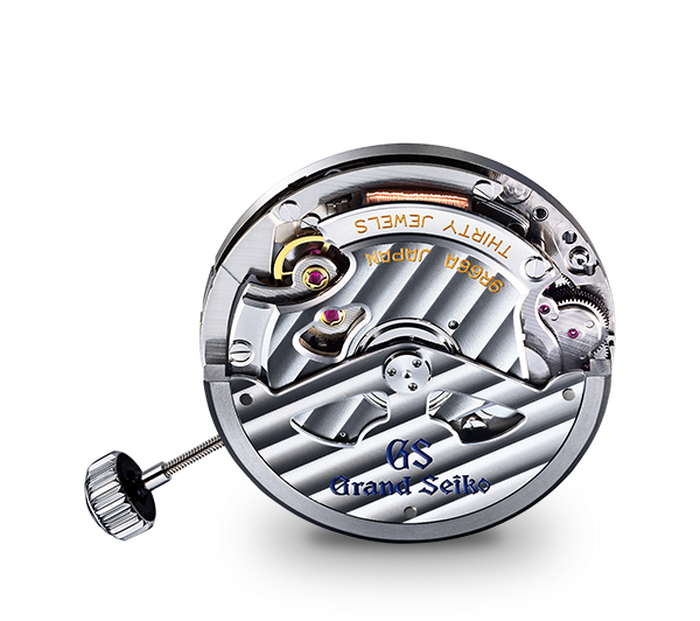 In the vertical clutch system, when the stopwatch START button is pressed, the start-stop lever opens, the fourth wheel and the clutch ring are engaged by the pushing force of the clutch spring, and the stopwatch begins to measure time. 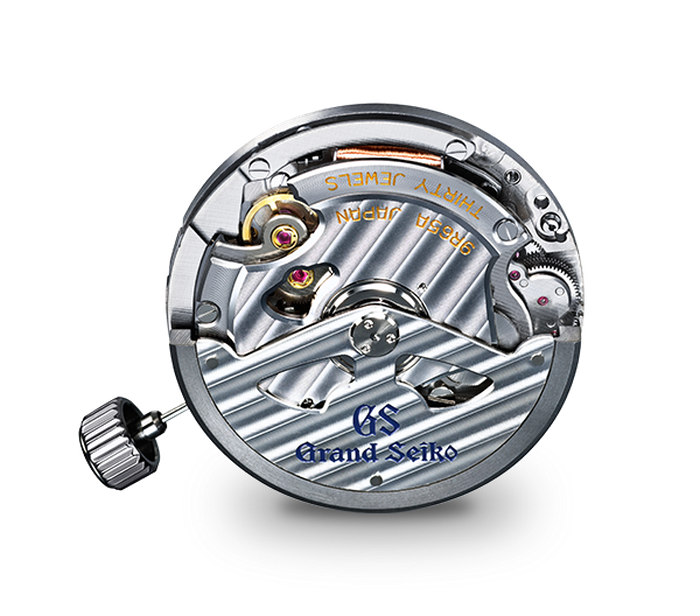 The shuddering of the stopwatch that easily occurs with horizontal clutches is eliminated, and timekeeping is more accurate. Achieving a level of stopwatch accuracy equivalent to the accuracy of the Spring Drive calibre itself would not have meant much if this accuracy were lost in the operation of the stopwatch. 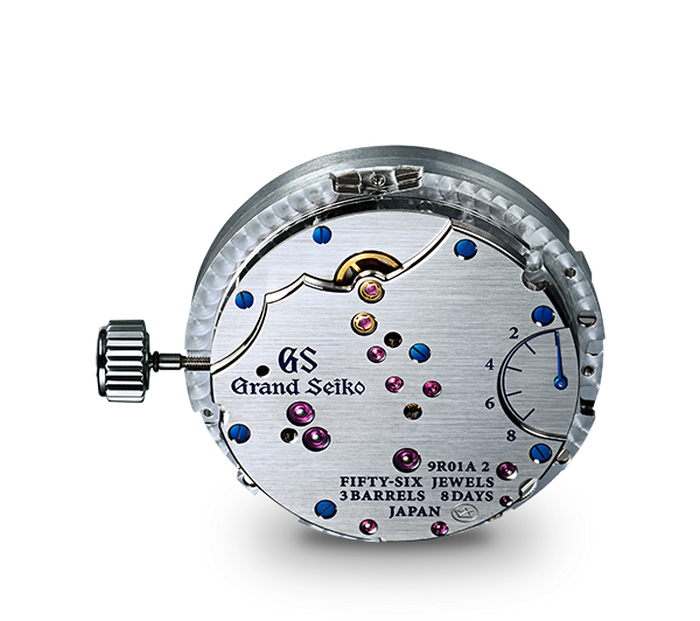 To minimize time measurement errors when the chronograph buttons are pressed, the operation of the buttons was made as precise as humanly possible. A two-step READY/START mode was adopted to ensure that the stopwatch operation would be error-free. 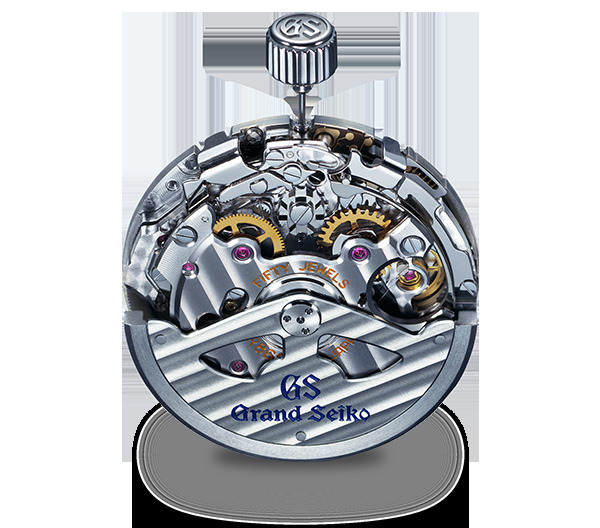 It is the same mechanism as is used in Seiko’s hand held stopwatches for professional sports use. 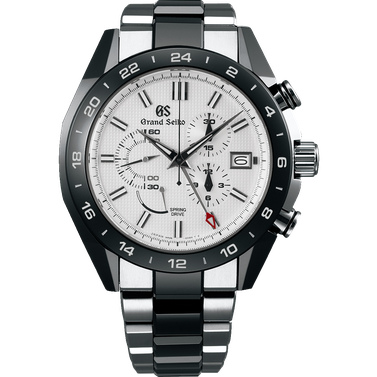 The chronograph enters READY mode when the push button is lightly pressed. A further press then starts the stopwatch. 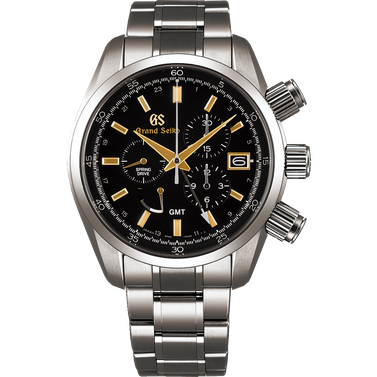 he chronograph push-button uses a screw-lock mechanism. Turning the screw cover lowers a pipe inside, allowing the START button to be pressed. 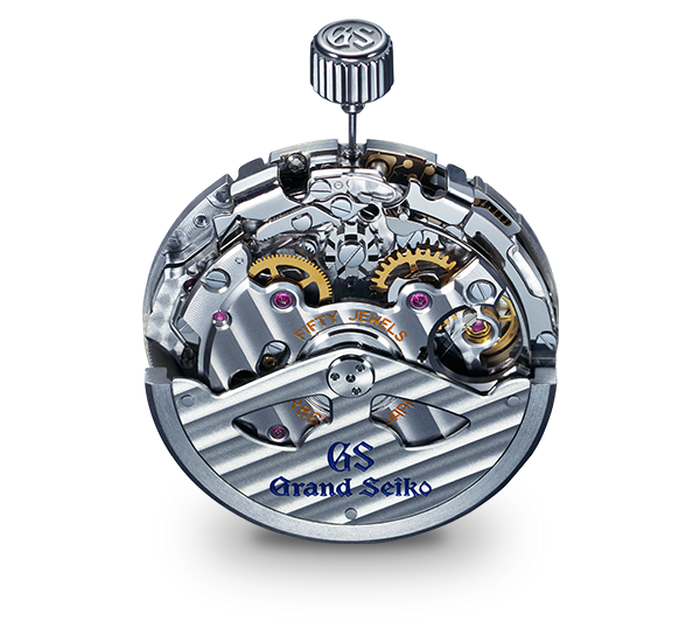 This newly developed mechanism prevents accidental operation of the button, resulting in more accurate time measurement.